This adorable sweater is a must-have for fall! 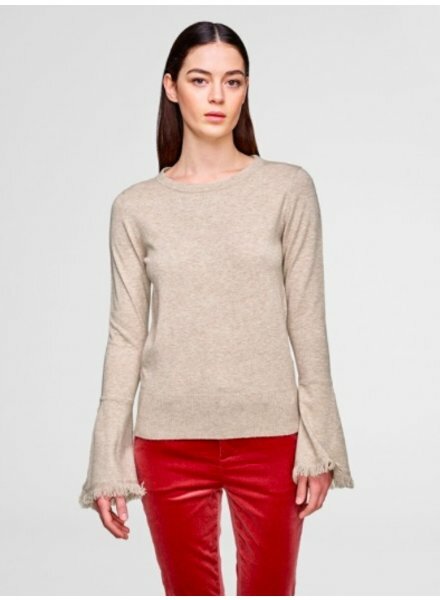 It is cut from the highest quality cashmere and features fun fringe sleeve. The slim-fit looks great with jeans or tucked into a leather skirt or pants for a nighttime look.